Thrifting…Saving Small Boys One Visit At A Time. 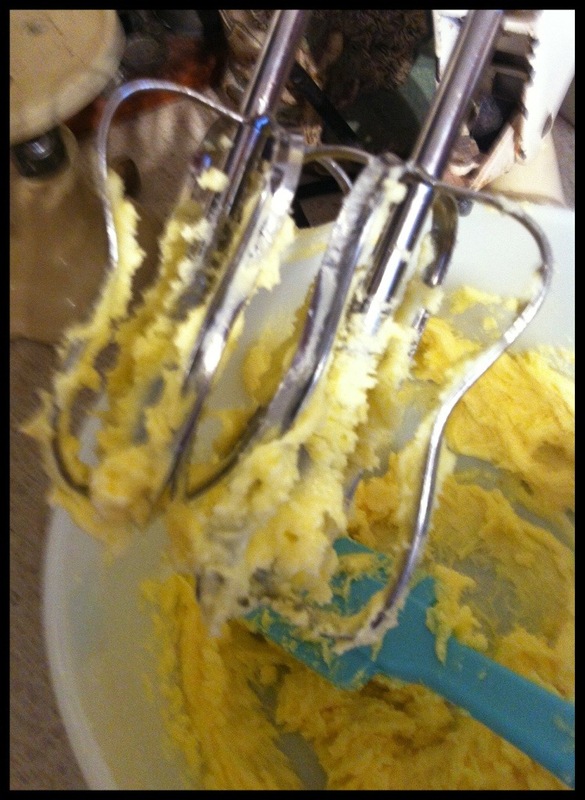 The rubber scraper had got itself caught in the beaters, been pulled right through them both and they were fairly well destroyed. Munted, to be a lot more precise. Once I stopped laughing, I suggested a trip to the Sallies where I promised we would have no trouble finding replacement beaters. 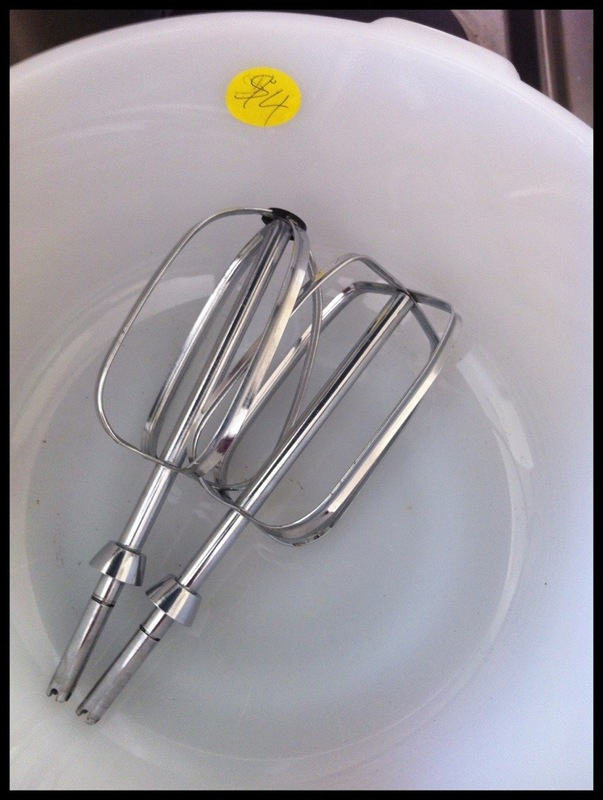 It didn’t surprise me that we saw the beaters mere seconds after walking through the door but ( and this is one of the reasons I keep on op shopping) it did kind-of shock me into stunned silence when I saw that they were sitting in a large glass mixing bowl. In tip top condition. For four dollars. In your face, evil rubber scraper! 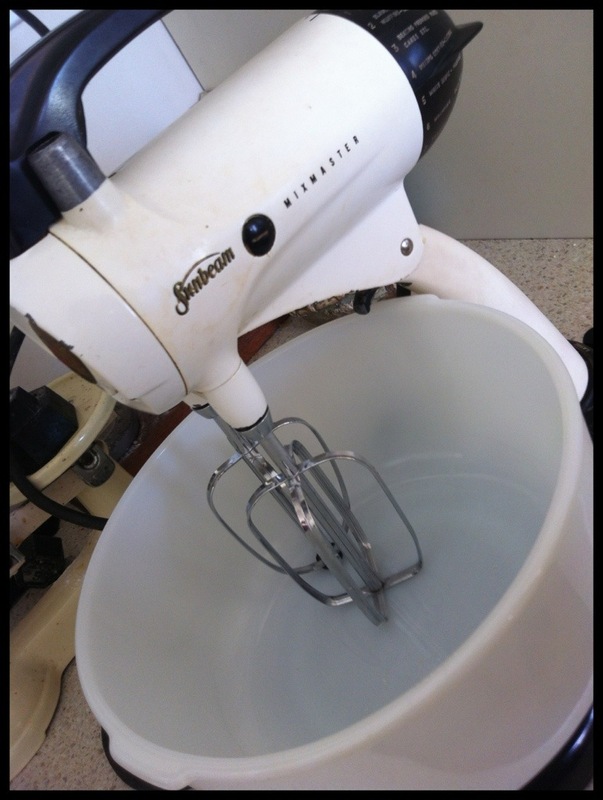 I love my vintage mixer – it’s older than I am and it still runs like a dream. Andrew picked it up for me in a garage sale years ago and it has lots of the original attachments including a juicer, a mincer and a vitamiser which makes great smoothies. 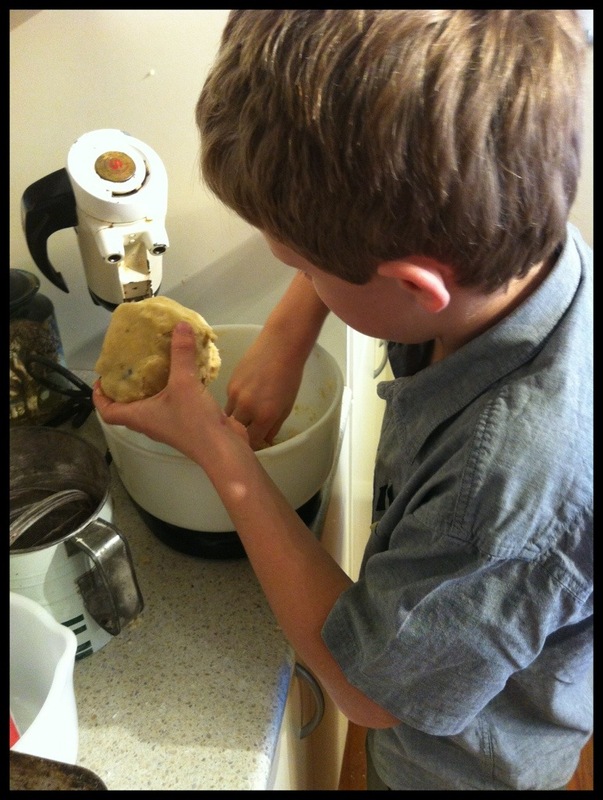 It’s now also back on track to make great cookie dough. It seems the battle was lost but the war has finally been won by local residents. There will be no more plums this summer. 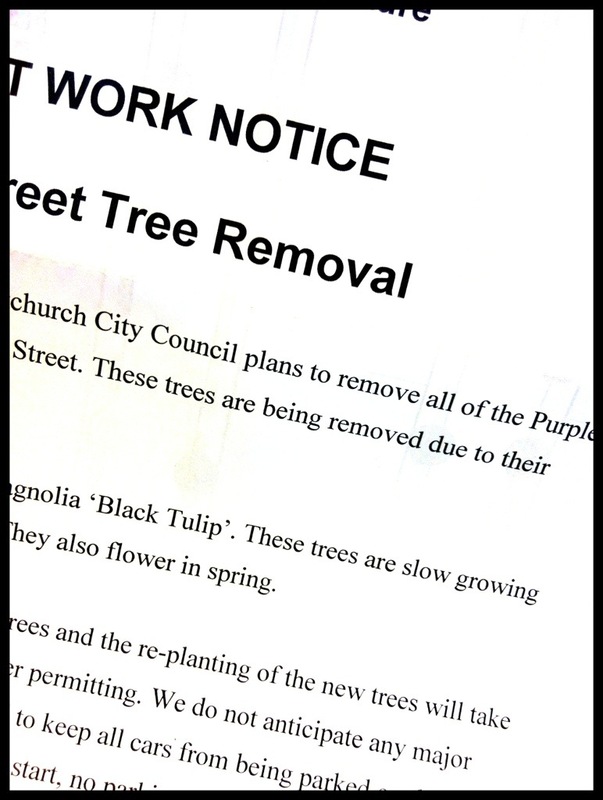 Our trees are being axed on Tuesday. 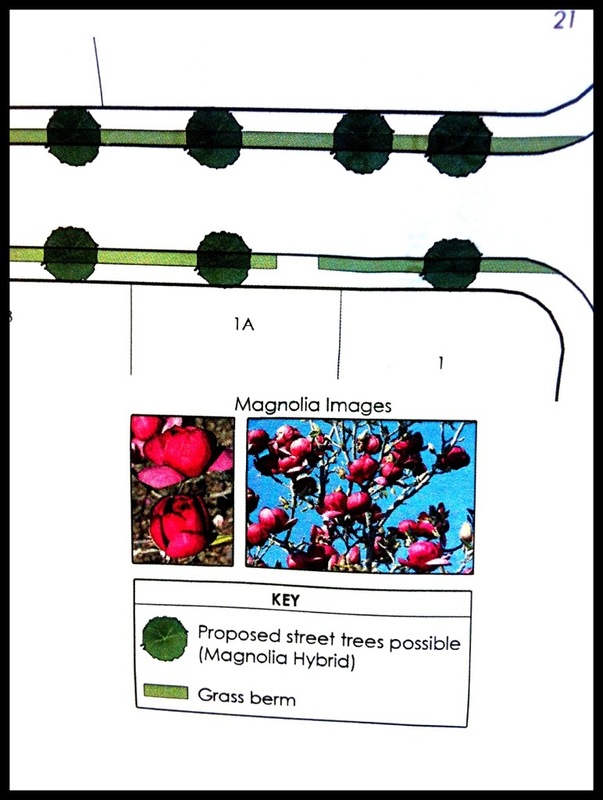 And replaced with low-growing magnolias. Henry was quite philosophical…and accepted that was one letter-writing campaign he was never going to win. And magnolias, well they’ll look really pretty in the spring. 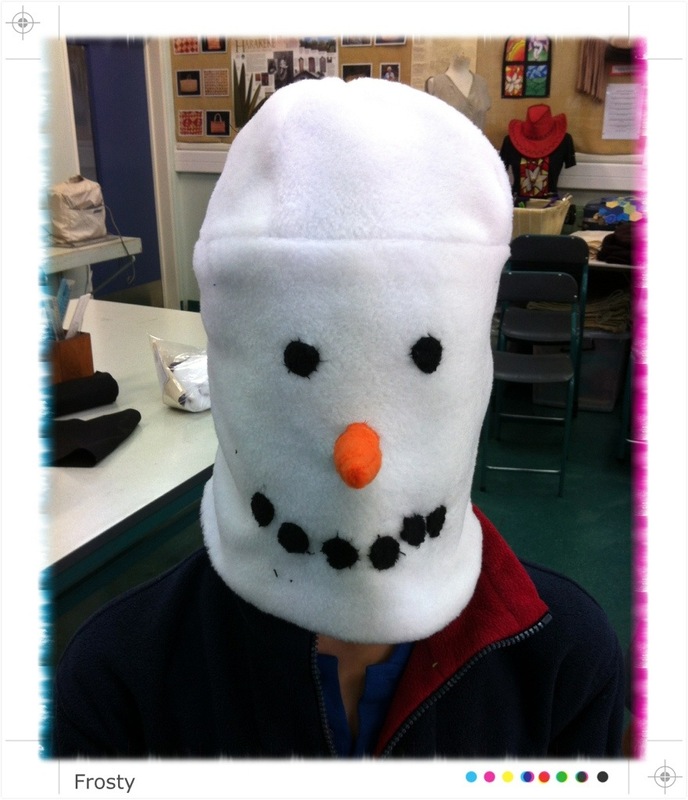 It’s all about keeping warm… boy has it been frigid in the Garden City recently. Wool, wool and more wool. 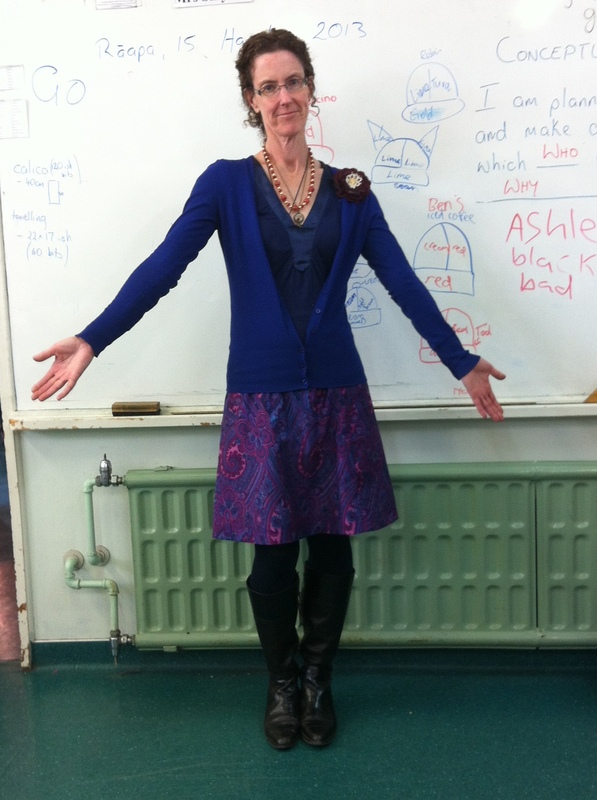 Luckily my classroom is toasty warm but today I’m still wearing a few merino layers underneath, just in case. This jacket is one of my favourite jackets of all time. I inherited it years and years ago from a stylish great aunt and about every 5 years I bring it out and give it another go round. It’s a lovely warm brown wool, nipped in at the waist, with a soft leather collar, leather buttons and bound leather buttonholes. 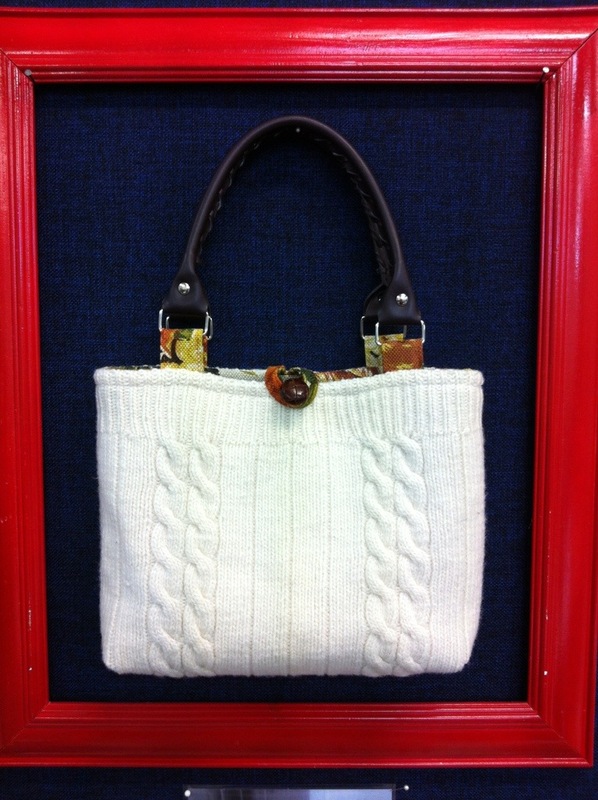 I’m certain my stylish great aunt would have bought it from Ballantynes in the early 70’s. She lived in the country and bought most of her clothes there on account. I remember her as always being perfectly made-up and impeccably dressed, despite living and working on the family sheep station. 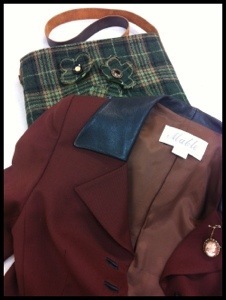 Today I’m wearing her jacket with a pair of tailored Jigsaw pants and black ankle boots. 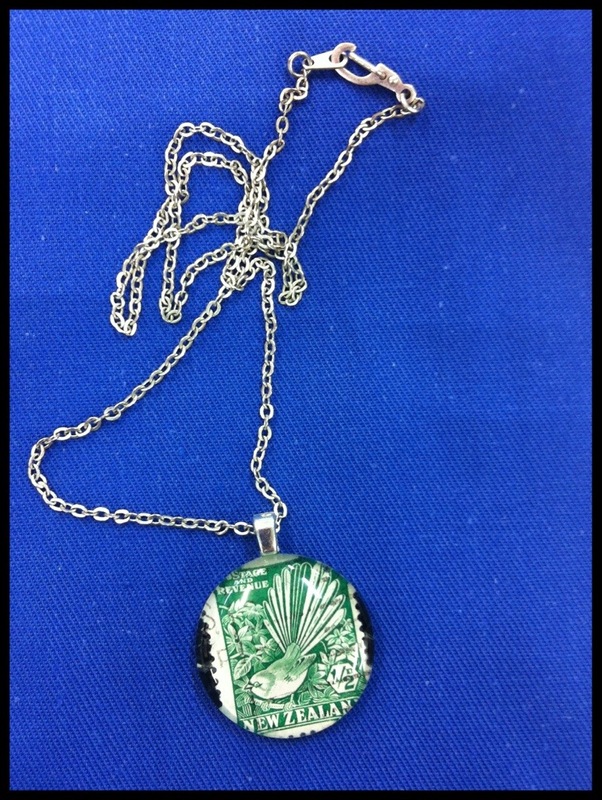 Jewellery is a simple cameo brooch. And accessorized with my favourite new bag. I had something similar saved on Pinterest so I made my own version in fabrics I had at home including a thrifted green woollen, some chintz from the Red Cross and a long brown leather belt. The cascade of flowers with vintage buttons was great fun to make. It’s widely admired wherever it goes. Oh would you look at that! 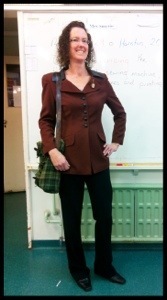 It seems I’m doing my best today to blend in with the 1960s paint job in my classroom. Styley. This corduroy skirt has been a long time in the making. It’s sewn from a minty vintage piece printed with tiny navy flowers and I’ve been saving it forever. 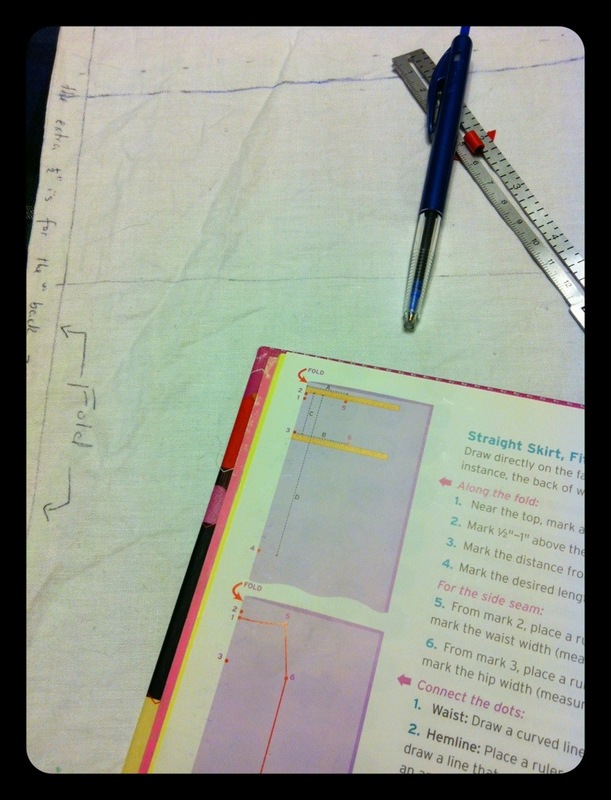 I spent the first week of the school holidays making muslins, trying to get my favourite skirt pattern to fit properly. My shape has changed over the last year and I couldn’t figure out where. Or why either but that’s another story. Darts in, darts out, sides in, sides out… On go-around #4 I got so frustrated I threw the whole thing out. 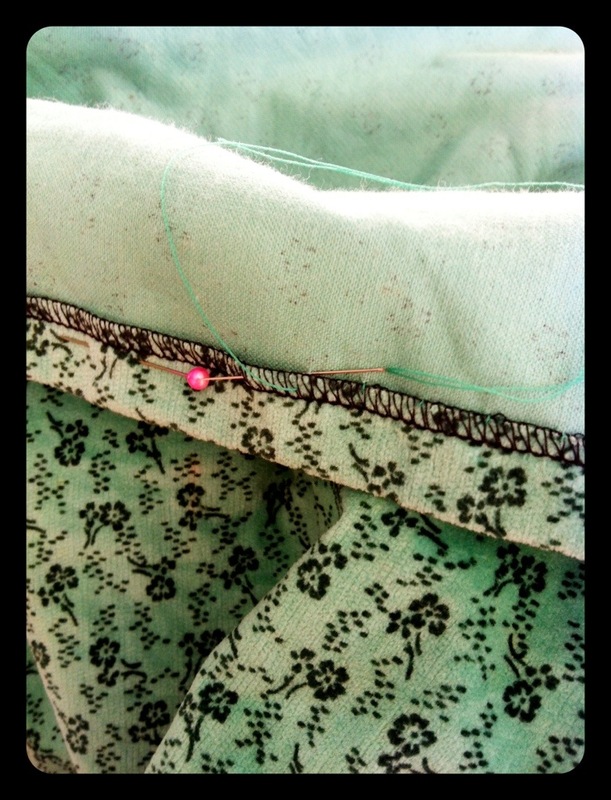 And then very sensibly dug out Sew What Skirts. A few measurements later and I had a muslin that fitted like a glove. What a twit. I should have done that a jolly week ago! I stitched the skirt together while watching the Great British Sewing Bee and marveled at my invisible zip. Every bit as good as the famous tv people’s. Pretty nice invisible hem too. I originally had a minty green top on this morning but the whole chameleon effect would have just been too much so there’s a navy top and cardy, navy tights and dark brown boots. Yes, all the same as last week. Sigh. The bling is different though. A gift from my brother and made from an old New Zealand stamp. Very cool. 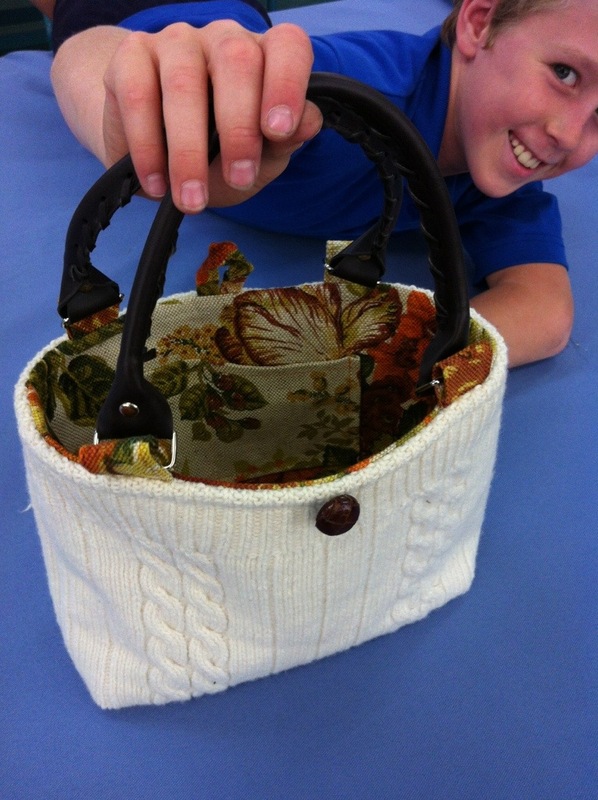 Thursday and Friday were a bit manic as everyone tried to get their last project finished. But it was worth it… there were some real crackers. 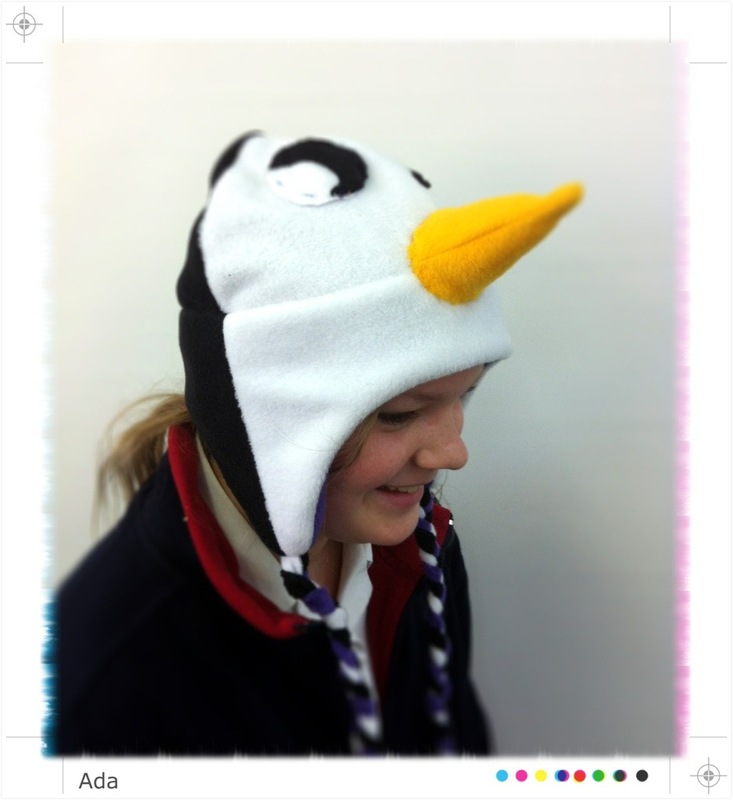 This is the second beanie pattern and Ada used it to make a penguin guy I’d never heard of. She grew 3 inches when someone asked her at party where she’d bought it. 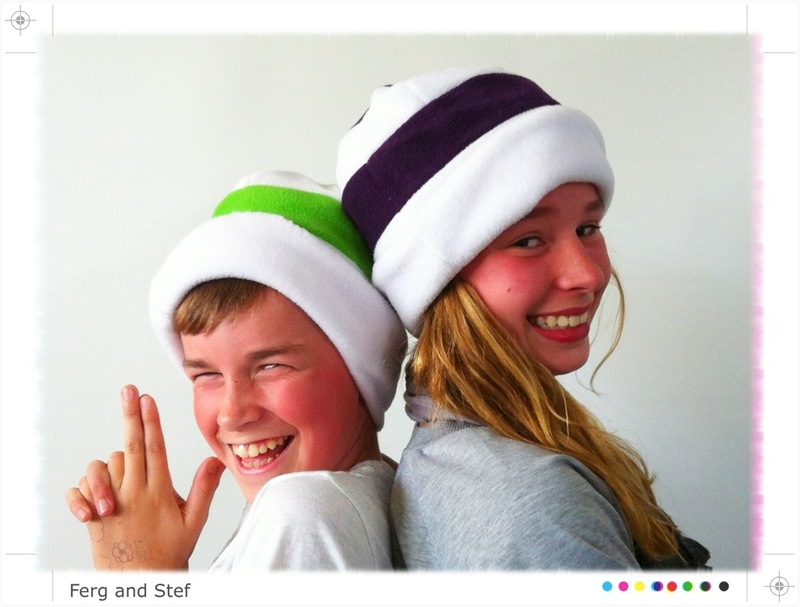 Stef modified one of the patterns to make Cat in the Hat stripes. You can see it in 2 colour ways because its a fully reversible hat. Named The Stefacino in her honour. Frosty needs no introduction really. Smile I said while I was taking the photo. I’m trying he said from under a drift of white. 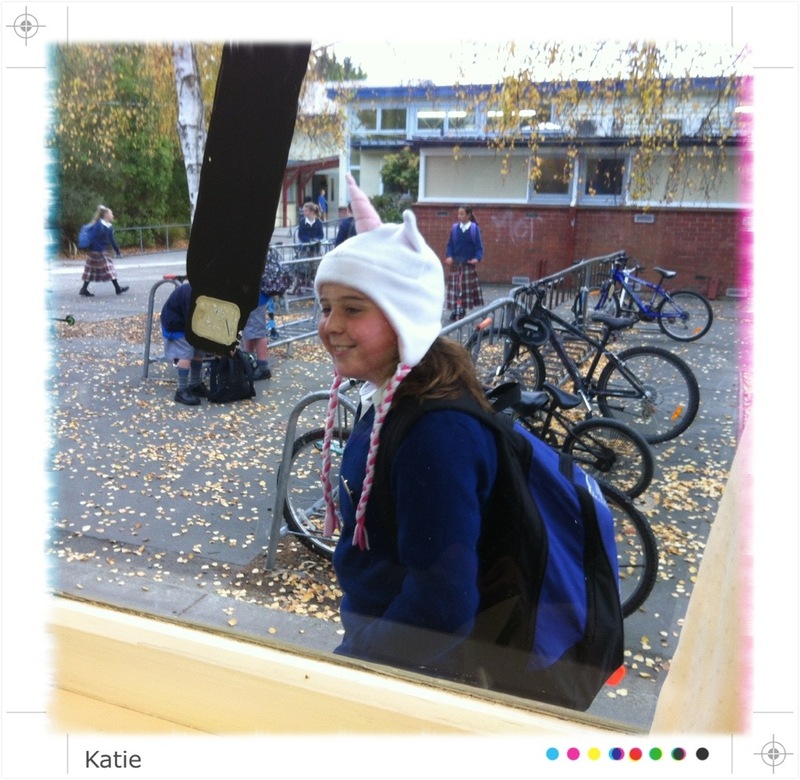 This unicorn quickly became famous all over school… she really gets around. I managed to snap a picture as she scooted past my window. 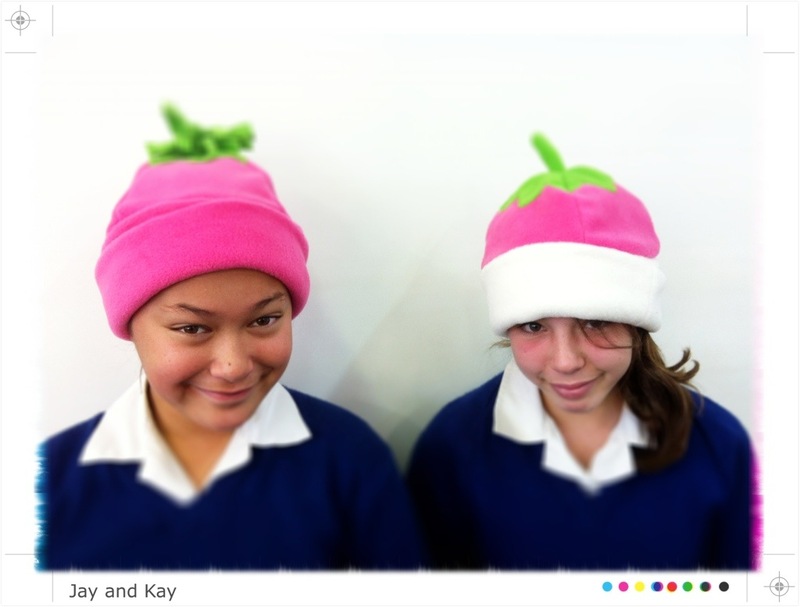 screwed up anyone’s work” asked Kay as I was overlocking the final seam on her One Direction beanie. “That’s nice of you” she said as she took the completed beanie, folded the band over and put it on her head. There was a collective gasp from the class as they saw at the same instant that the words on her band were upside down. And then a look of horror from Kay as she realised Mrs Smythe had just screwed up a second project. While she was talking about screwing up the first. Oh the irony. “Hand me that seam ripper would you?” I said. A blue top and a blue Glassons cardy. 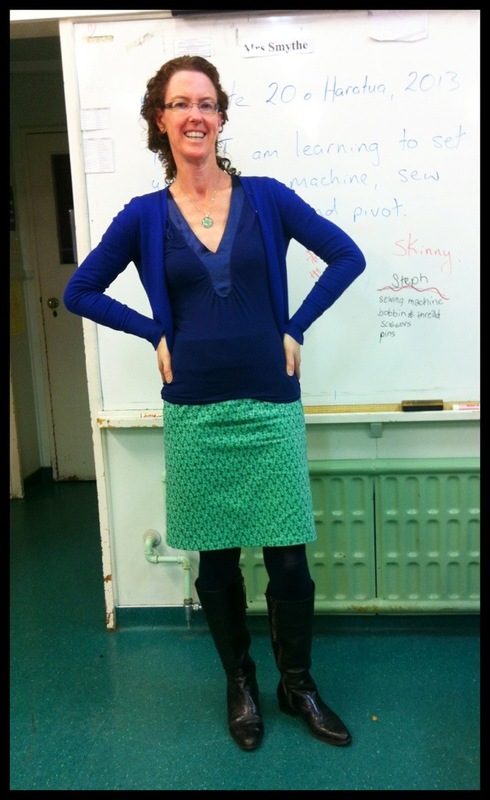 Me-made skirt using a half-cut-down dress I found at an oppie. Someone had made a terrible job of altering it and I rescued the gorgeous polished cotton to make a simple A-line skirt. Look at that fabric – gorgeous! 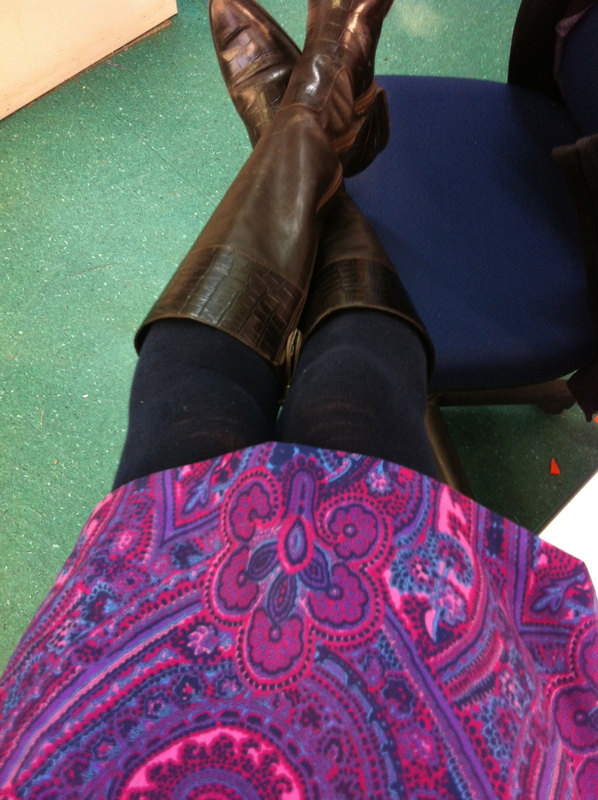 Dark tights and flat brown winter boots because today was a real running-around day. I didn’t really spend it with my feet up. 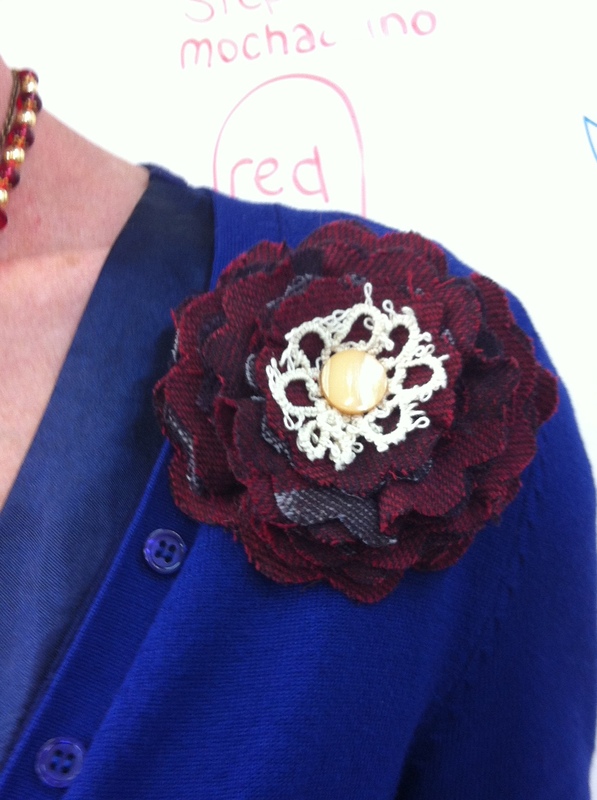 A me-made brooch – scraps of woollen fabric and a bit of lace doily with a shiny old button. It was a crazy day at school because this week is the last week of the current Tech rotation and everyone is trying to get something finished. I won’t look this serene by Friday. For Miss M, With Love. 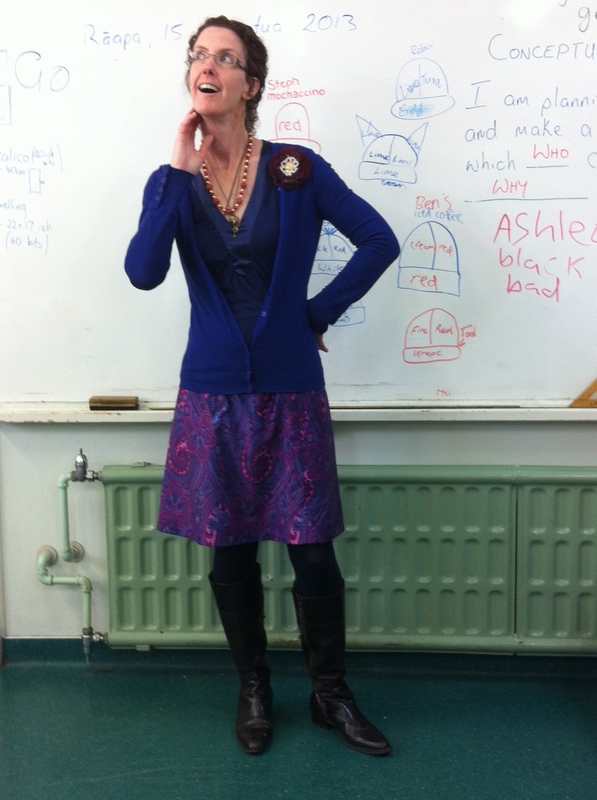 Henry’s class have a student teacher at the moment and she’s been ‘dreamy’. (Not my word!) She wears the cutest op-shopped outfits, sings a lot and enthusiastically climbed mountains on school camp. Whimsical is the word I would probably use. I think she looks just like a sweet, old-fashioned china doll with a porcelain complexion to match. Henry wanted to make a gift for her because tomorrow is her last day so we threw some ideas around and came up with this upcycled bag. 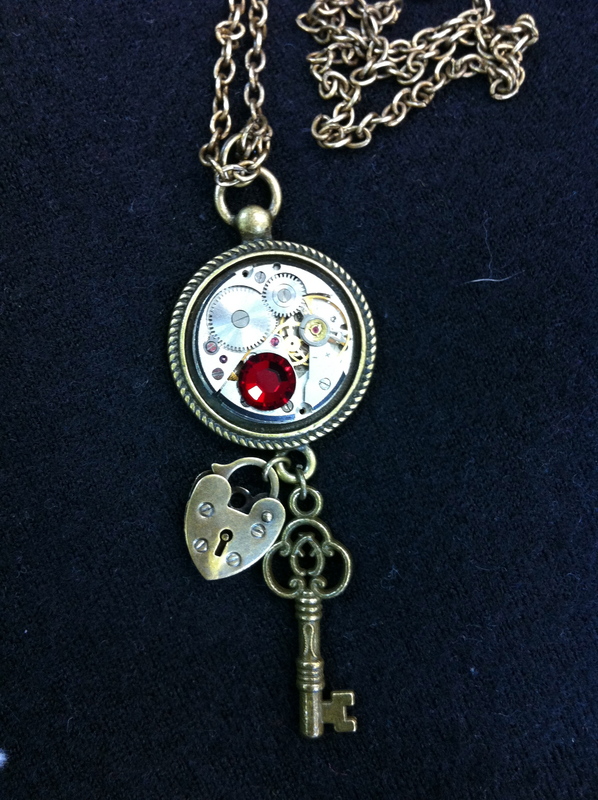 We used this tutorial pretty much word for word, just removed the batting and added a button loop and a cell phone pocket. 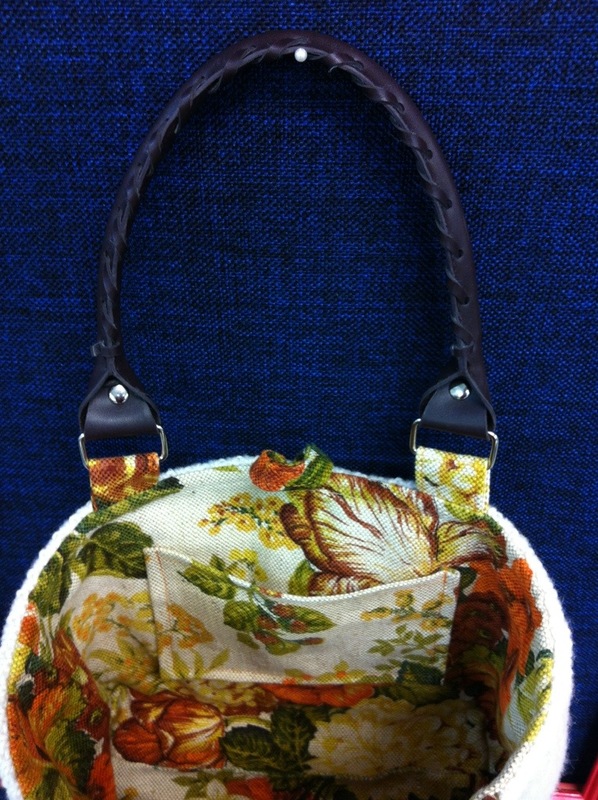 The bag is made from an old jersey of my own, a floral curtain remnant and the leather handles off an op-shopped purse. 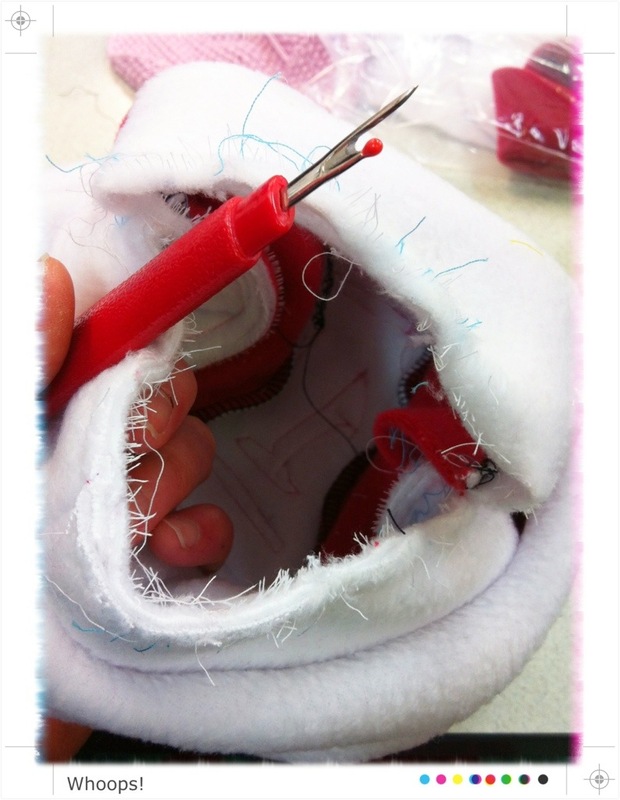 It was tricky going at times because the woollen layers were very bulky but I used a walking foot and took it slowly. The leather handles might just be my favourite part. 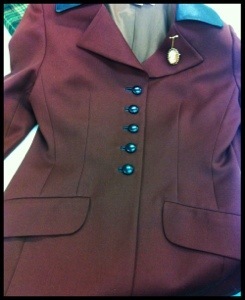 Or maybe the leather coat button? Or even the fact that there is new life for this comfy old jersey I have worn and loved for years. 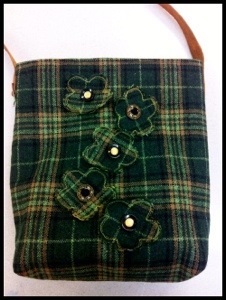 I am crazy about this whimsical little bag and can hardly bear to give it away, no matter how dreamy Miss M may be. So, as a consolation, I awarded myself Student of the Week and hung it in the Highlights frame so everyone could admire it for at least one more day.